Valve refreshed its Steam Mobile app for the iPhone and iPad today with a flat, cleaner UI that’s in keeping with the look and feel of iOS 7. It still retains the rich, dark color scheme prevalent in the Steam desktop client, but the slim typefaces and elegant design are well-suited to Apple’s hardware. 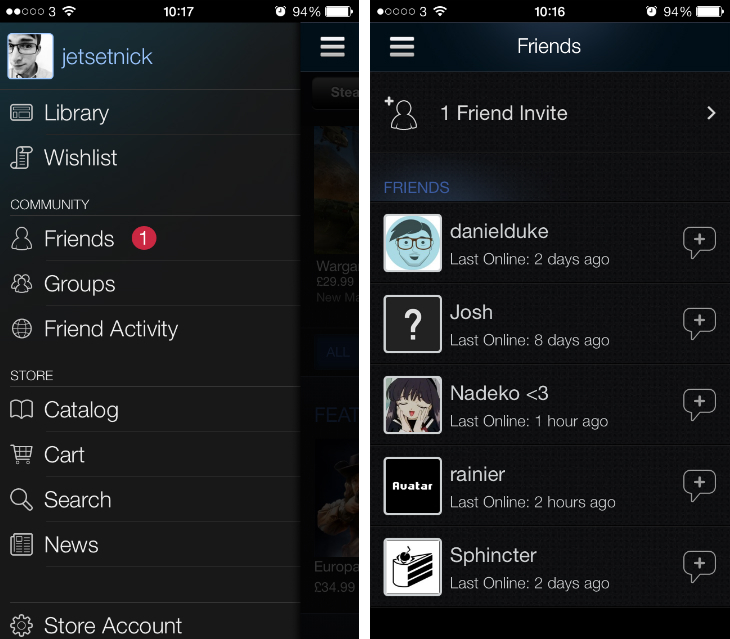 The app, which players can use to buy new video games, browse their library and message friends on Steam, now supports offline chat and uses revamped iconography to show whether friends are accessing the platform via their smartphone, tablet or in Big Picture mode. Friend invites have also been moved to a separate window this time around, and Valve now suggests friends from Facebook in this area. Push notifications have also been revamped, making this a pretty competent companion app for the Windows, Mac and Linux gaming platform.